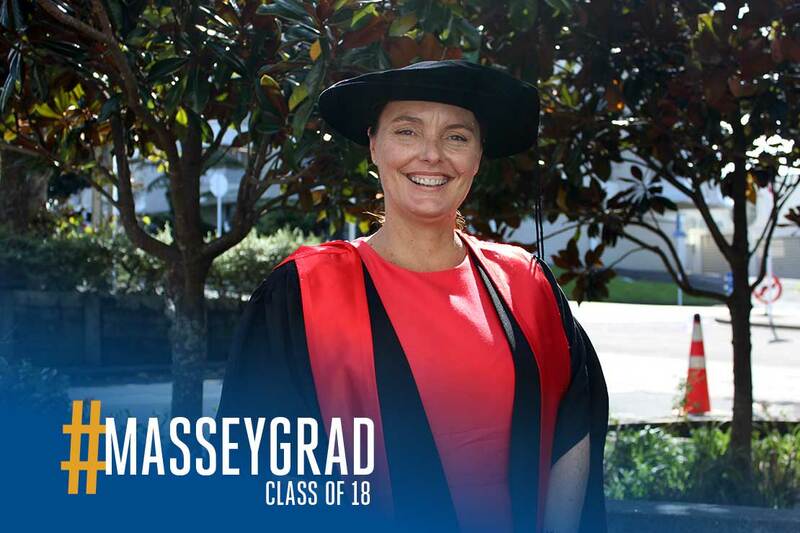 Massey PhD graduate and tutor Dr Jo Mutter. Massey University PhD graduate Dr Jo Mutter has spent long periods over many years solo parenting her two children. Hers is one of a growing number of “stay-behind families”, where partners choose the stability and safety of home over the expatriate lifestyle of a “trailing spouse”. Her husband Tony Mutter is a professional sailor and two-time winner of the Volvo Ocean Race. While he made it to his wife’s graduation ceremony last week, the following day he flew to Brazil to compete in leg nine of the 2017-18 race. Dr Mutter, as usual, is watching his progress from afar. Writing her PhD thesis on the impact global mobility has on families has been a very personal experience. “My husband’s career means he gets paid to go sailing, he is living his calling,” she says. “I can’t deny someone I love that. Dr Mutter says global mobility is a growing trend that applies far beyond the world of professional sport. Businesses are increasingly sending staff to offshore locations, either to work on short-term projects, as commuters (where the employee has a roster of away and at-home time), or as frequent international travellers. Technology now makes it easier for families to stay in touch when a parent is based overseas. In return, stay-at-home partners often make sacrifices in terms of their own careers and, more often than not, the stay-at-home partner is the mother. She says women with globally mobile partners take longer to return to the workforce after having a child, and when they do, they need to find work that offers “personalised flexibility”. Dr Mutter says the women in her study with successful careers were either self-employed, had built their careers around contract work, or had long-term employment relationships and were able to negotiate the flexibility they needed. The impact on the children of stay-at-home families is less than you might think, she says. Technology has made it much easier to keep in contact, and as long as there is a consistent routine, the children are generally happy. “In many ways, the most difficult time for children is when the traveller returns home, because that is the break from their usual routine,” she says. Dr Mutter believes that organisations could do more to support the families of globally-mobile employees, including providing a central point of contact for assistance and creating an “empathetic network” for stay-behind partners. Dr Mutter believes stay-at-home families should receive employer support in the way expatriate families do.